Five Ways AR Apps Will Enhance Industrial Work in Next Five Years - Augmented Reality, Virtual Reality & Mixed Reality services in Chennai, India. There is a rightful excitement to augmented reality (AR) apps as the new technology is picking up the pace and getting wider adoption in business solutions. The name “AR” for these applications is somewhat restricted, as most industrial solutions include a mix of AR and its counterpart VR, or virtual reality. 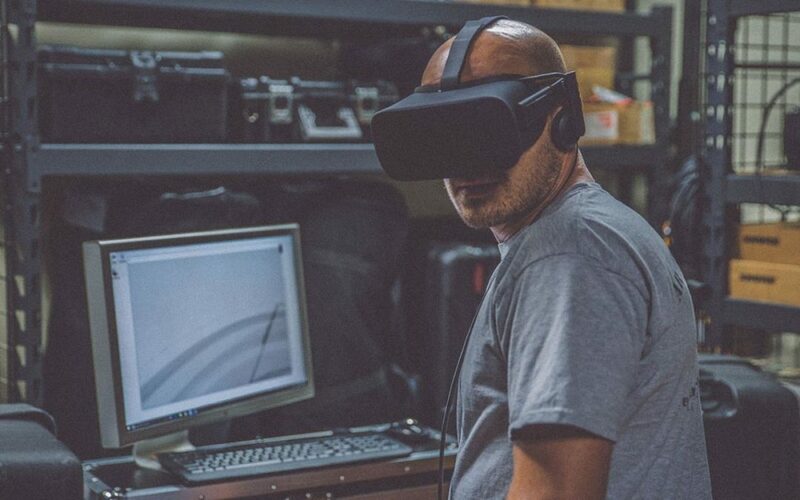 In the final outcome for the correct terminology, industries benefit from the mixed reality – the sum of both VR and AR – as a synonym for a technology that helps us bridge the gap between the physical and the digital worlds, and vice versa. There is an important development the manufacturers should keep in mind – developing AR apps is getting simpler than it used to be and the trend is expected to continue. In turn, such a trend will further reduce implementation costs as app developers gain experience in 3D development, computer vision, as well as in dynamic, interactive, and immersive UX practices. Technical products consist of thousands of components. To assemble a car or a home appliance, factory workers need to keep track of dozens of spreadsheets, moving back and forth between a series of documents and field operation. AR apps can help by setting up a unified field for visible input, in which assembly instructions are presented in the same space, using voice control without hands. Airbus has implemented the AR app called MiRAto facilitate aircraft production with 3D models that monitor the integrity of the hydraulic equipment.